I’ve just been interviewed at Chaya Teahouse for a programme called Pulse on the Deutsche Welle radio station, which has a segment on ‘Odd Jobs’. At the same time we were very honoured to have Britain’s tea poet Elizabeth Darcy Jones recite a poem about Dong Ding Oolong tea. The interview was broadcast on 1st May. Have a listen to the clip at Deutsche Welle, and below is a transcript. Pei: Now this is the Gong Fu Cha tea ceremony. You start off by ensuring that the water is brewed to the right temperature. Nik: London’s fashionable Notting Hill may not be the first place you’d expect to come for a Chinese Tea Ceremony. Pei: Then you use the water that has warmed the tea pot to warm the pitcher. So that no water is wasted. Nik: But I’m here to meet Singaporean Pei Wang who, more than 10 years ago, made the British capital home more than a decade ago. Pei: The next step is to take an appropriate amount of tea and put it into your warm teapot. Nik: And 5 years ago, he gave up a high-flying IT career to become a Chinese Tea Artisan. He’s been running tea appreciation classes, tea cookery classes and is planning to open the Chaya Teahouse later this month [February]. So what exactly is a tea artisan? Pei: There are many many different kinds of tea, thousands of teas and a tea artisan aims to know as many as possible, know the different characteristics of the tea, know how to brew it properly. The tea artisan also should try their very best to learn about the person whom they’re serving tea to – so that they can match the tea to this tea lover’s preference, or sometimes give this tea lover a little nudge – to allow them to try new teas and open their horizons so to speak. Nik: Pei’s passion began by reading books and trying as many teas as he could find. His interest then took him East to complete his tea artisan and tea assessing exams in China. He now imports his teas from there. In China, you can study tea right up to PhD level at University, because it is not just the tea but the more 4000 years of cultural history that accompanies the experience. For anyone who wants to taste teas like the pros, what advice does Pei has to offer? Pei: With tea-tasting and wine-tasting done in a Western fashion, the assessor tends to spit the tea or wine out. Whereas the chinese tea assessor will drink the tea. We want to look for a specific attribute of the tea – called the return of the sweetness. We hold the flavour in the mouth and palate for a short time and wait for the aroma and taste to come back into our palate and into our nostrils. And if a tea can do that, then it is a good quality tea. Nik: Here in London, the interest in a more peaceful tea experience has even spawned a tea poet. Dong Ding is the sister of that spiral girl Pu Chong. Delighting in the different ways they swirl as all their grassy sweetness is released. Dong Ding’s the one with bounce within her curl. an easy hop to grown up dear Dong Ding, delivering a hint of something wild. Nik: Elizabeth Darcy Jones will publish a book of her tea poems called Distinguished Leaves later in the year. Elizabeth: I first tasted Dong Ding with Pei. What a wonderful way to introduce children to tea by saying we are going to taste some tea and it’s called Dong Ding. It’s perfect isn’t it? Nik: Pei says for him, tea drinking is both an art form and recreation of personal and social human experience. 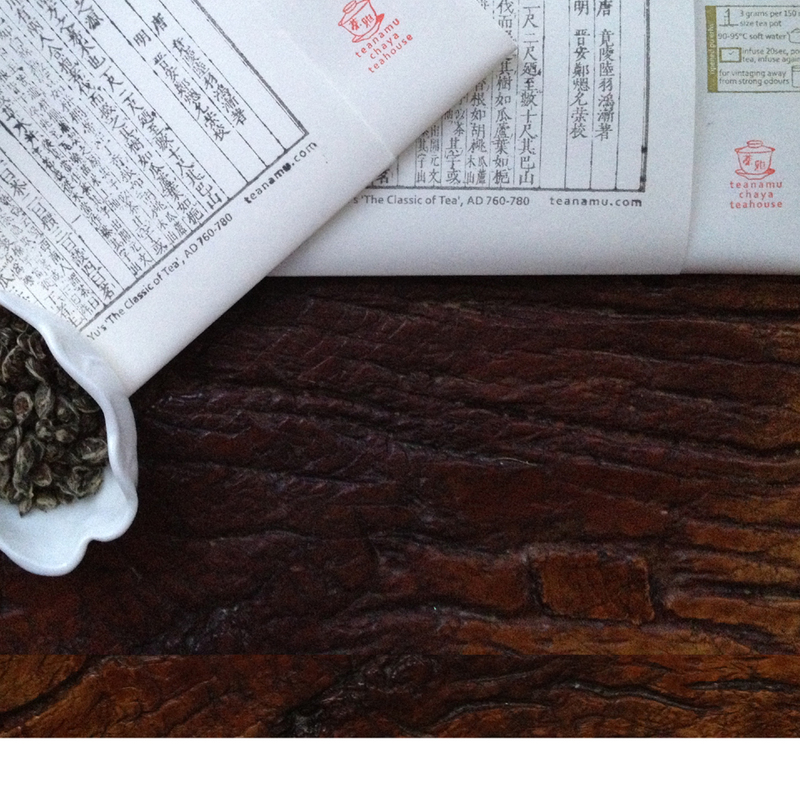 Pei: The way to become an artisan is to read as many tea books as possible. Unfortunately a lot of the books are written in Chinese so you may have to learn Chinese first. There are also a lot of English tea books available where you can learn about teas. But I think the most important thing about being a tea artisan is to try as many teas as possible. Nik: The days of a classic British afternoon tea may have been washed away by busy modern lifestyles, but there seems to be a growing need amongst Londoners to slow down. One way to destress, as many are finding is to experience, through all the senses, a traditional chinese tea ceremony. You can read more about Pei’s job on his blog at www.teanamu.com. Nik Martin, Deutsche Welle, London. Oh that’s lovely, and the poem too! Thanks v much! I love the poem about Dong Ding Oolong – I think Britain’s Tea Poet has captured the spirit of the tea.